MANCHESTER, Mich., November 12, 2013 – Amcor Rigid Plastics, the world’s leading producer of rigid plastic packaging, has announced its participation as a national sponsor of America Recycles Day 2013, a national initiative of Keep America Beautiful, a U.S.-based non-profit organization that focuses on consumer environmental education and awareness. Amcor – one of the world’s largest manufacturers of plastic packaging for the beverage, food, spirits, personal and home care, and pharmaceuticals industries – joins Anheuser-Busch, the Johnson & Johnson Family of Consumer Companies, and Waste Management as national sponsors of the Nov. 15 event. In recognition of the event, Amcor plans activities at many of its U.S. sites to increase co-worker knowledge and educate local communities about the importance of recycling. 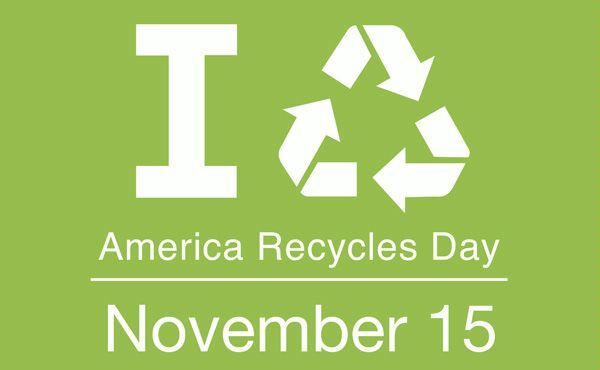 A total of 11 Amcor sites are planning America Recycles Day activities, aimed to engage both co-workers and the community in the economic and environmental importance of recycling. The company’s Ann Arbor, Mich. headquarters is conducting office recycling education activities and volunteering at Ann Arbor’s local recycling drop-off location to promote community-wide recycling education. Meanwhile, Amcor’s Batavia, Ill. production facility is organizing an electronic recycling event and has teamed up with Mooseheart Child City and School Inc. in Mooseheart, Ill. to educate children on the importance of recycling. Amcor has been a leading advocate of sustainability practices and has worked closely on waste reduction with its customers in the packaging industry and the local communities where it operates. Over the last five years, Amcor’s North American manufacturing facilities have reduced waste-to-landfill by 66%. Nine production sites have achieved Amcor’s long-term goal of sending zero waste to landfills. These facilities send the last remaining waste portions to waste-to-energy facilities which convert the non-recyclable material into electricity. Each of Amcor’s 34 manufacturing facilities in the U.S. and Canada have a dedicated waste reduction team that explores innovative and cost-effective ways to reduce, reuse, and recycle material that had previously gone to landfills. The company has engaged its workforce by organizing “Smash Trash” teams consisting of dedicated co-workers that work to identify and implement waste reduction processes and share best practices across its North American sites. Amcor has traditionally targeted the reduction of metals, corrugate, and scrap plastics and has recently focused on shrink wrap, wooden and plastic pallets, and multilayer materials. “Our goal is to have the material value of our waste pay for the programs and as a result more sites are coming out ahead financially,” said Schwarze. Some Amcor facilities have fully engaged their co-workers through weekly waste audit walk-throughs which set cultural norms for recycling throughout the entire facility. For example, at the Batavia, Ill. facility, Smash Trash members perform audits with non-team members to ensure continued education on the benefits of recycling for all co-workers. The site has reduced waste to landfill by 54% since 2010. Among Amcor’s other sustainability efforts is the use of recycled polyethylene terephthalate (PET) material for the production of plastic containers. The company used more than 53 million lb of post-consumer recycled (PCR) PET in its manufacturing facilities during 2012. Many brand owners are increasingly using recycled materials in their packaging. In addition to enhancing brand equity, using post-consumer recycled (PCR) PET has a number of environmental benefits. 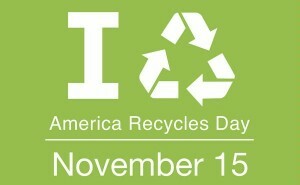 Recycling reduces the amount of plastic sent to landfills and using PCR helps to support the recycling infrastructure. Using recycled PET means that less fossil fuel is needed to make new, virgin resin. Recycled PET also requires less energy to produce, resulting in a lower carbon footprint than virgin PET.